Ionizing radiation (IR) induces a diverse spectrum of DNA lesions, among which the DNA double-stranded break (DSB) is the most critical; both with respect to cell lethality, as well as with respect to the induction of mutations leading to genomic instability and cancer. Mammalian cells have developed multifaceted machinery to detect and restore this type of damage. As a result, most IR-induced DSBs are repaired efficiently. However, despite efficient repair, the probability for error-prone processing remains considerably higher for DNA DSBs than for other IR-induced DNA lesions. Therefore, after exposure to IR, unrepaired or misrepaired DSBs are the main cause of cell lethality and mutation induction. Here, we review the molecular processes elicited in mammalian cells on induction of DSBs. In addition to the pathways recruited for their repair, we describe signaling processes that detect this lesion and interphase with the cell cycle engine in an effort to delay cell cycle transitions that could interfere with repair. 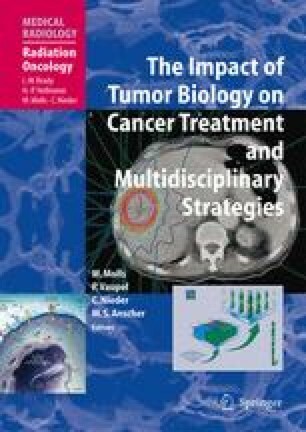 Molecular characterization of these pathways and processes offers unique opportunities for defining useful predictors of cellular response to IR and appropriate targets for optimizing the application of radiation in the clinical setting for the treatment of human cancer.